Every Halloween is sure to feature a couple songs that feel like they were crafted for the soul purpose to celebrate the haunted holiday. A few of them are pretty obvious, since they are literally for Halloween movies. Virtually anything from Nightmare Before Christmas is ready to have us giddy with merry mischief, but songs like Somebody’s Watching Me and Superstitious begin to give you just the right level of creepy wonder. Add a happier Monster Mash and you’re calling the creepy creatures up from the grave. And, speaking of rising from the grave, how can anyone forget the terrifying and chart topping Thriller. Admit it, the mere mention of it brings some of the tune to your mind. You can picture the entrancing dance moves and the slow but consistent transformation from human to zombie of many of the dancers on stage. You hear the clap that threatens to get you up out of your seat and demands that you join in on the line dance of all dances! 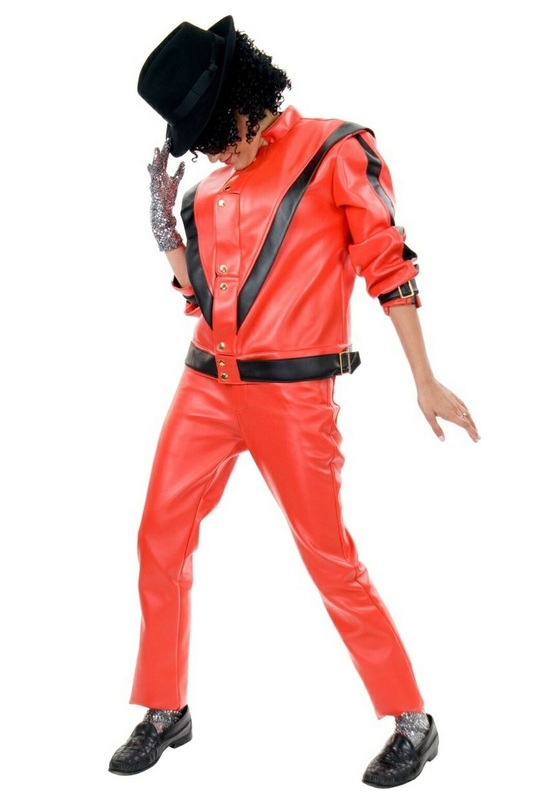 This year you can bring the King of Pop back from the dead along with a few of his trusty zombie buddies and get the whole party dancing when you click your player over to the right tune with this Adult Michael Jackson Thriller Jacket. This unique red faux leather and black trimmed jacket features triangular panels and metal buckles that will practically rise Michael’s memory. Pair with the matching pants and the right hat and you’ll be ready to reproduce the 1983 classic video!